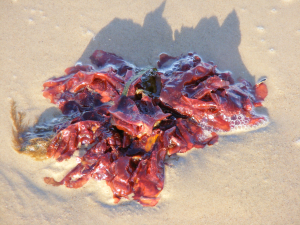 Observation - Red Seaweed - UK and Ireland. Description: Found washed up in Swanage. Not sure what seaweed it is being a complete seaweed novice.Any ideas? Found washed up in Swanage. Not sure what seaweed it is being a complete seaweed novice.Any ideas?